DALLAS, Nov. 21, 2017 /PRNewswire/ — "Someone special at St. Jude would like to say hello," this is what Guests at Chili’s® Grill & Bar Highland Springs restaurant heard after choosing to donate to St. Jude Children’s Research Hospital® during this year’s Create-A-Pepper campaign. It’s often difficult to connect how an add-on donation at the end of a meal or coloring a pepper while at Chili’s can have an impact on the kids at St. Jude, but over the past 15 years, each donation and pepper has added up to more than $64 million to support St. Jude’s mission of Finding cures. Saving children®. 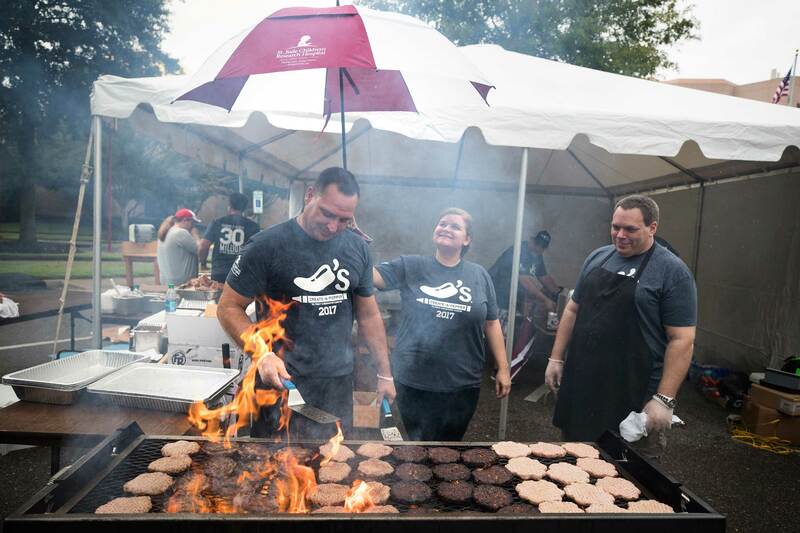 This year, Chili’s is showing how a little action can create a big impact by continuing to connect those who care with those in need of care. ChiliHeads at Highland Springs in Beaumont, Calif. surprised everyday Guests with a special thank you for their donation to St. Jude. Guests came in expecting a normal dining experience and got something completely different. After a donation, Guests received a video call from a St. Jude survivor who personally shared their story and the difference each donation makes in ensuring that no family ever receives a bill. "I loved being able to take Guests by surprise. I thought this experience would be scripted, but it wasn’t. 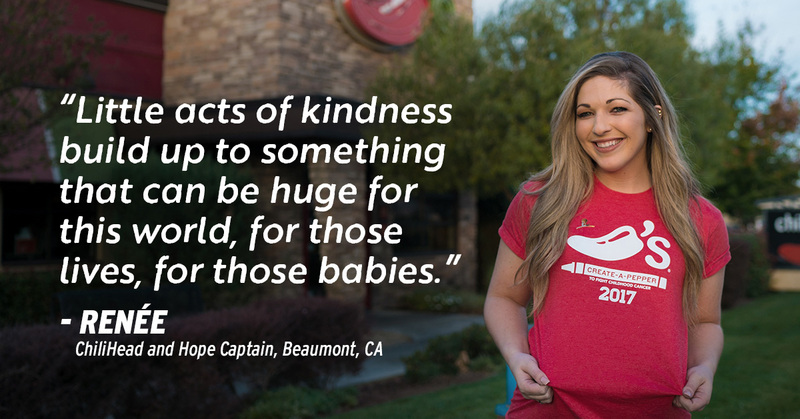 The connections between the Team Members and the Guests were so genuine and so real," said Shaylene Hershey, Team Member and Create-A-Pepper Hope Captain at Chili’s. Last year, Chili’s made its second multi-year commitment to St. Jude of raising $30 million in six years to enhance the work of The St. Jude School Program presented by Chili’s for patients. 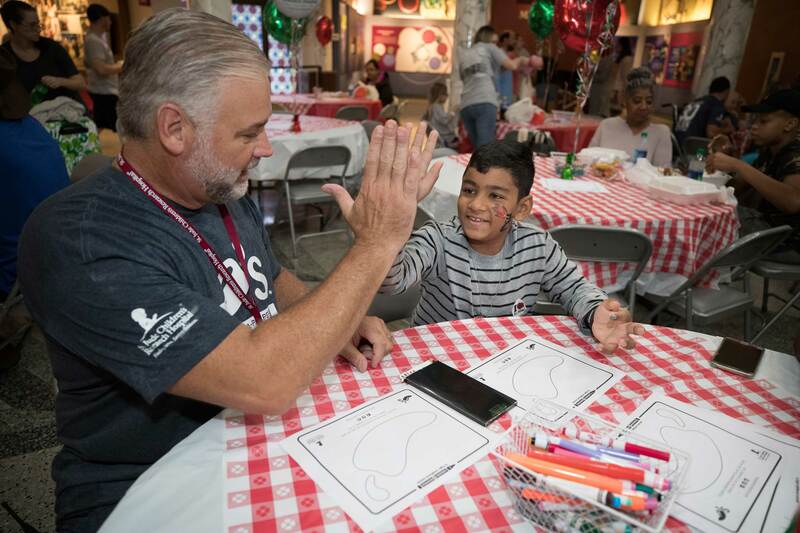 The St. Jude School Program presented by Chili’s gives patients a way to focus on the future and keep up with schoolwork during their stay at the hospital – whether staying for a few months or years. For children who are put into an unfamiliar hospital environment, school provides a regular routine, feeling of control and sense of normalcy. 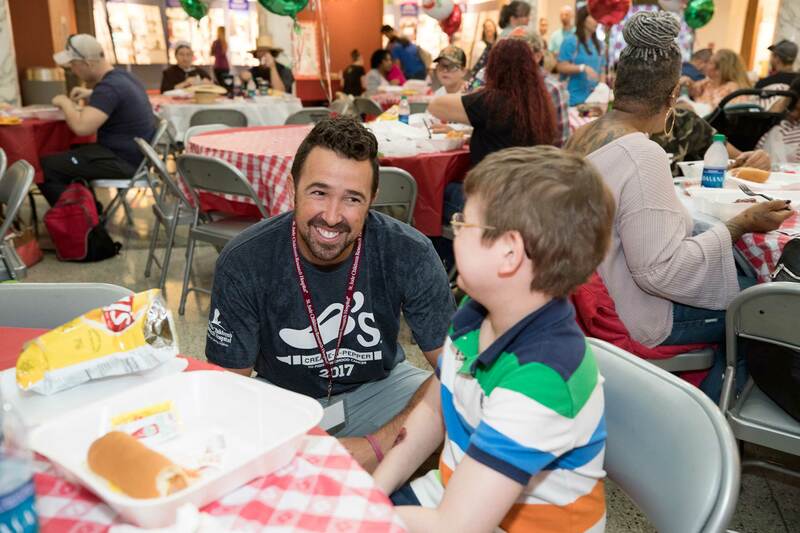 "It’s not about the monetary commitments to St. Jude, but rather our commitment to helping the whole child," said Doug Comings, chief operations officer of Chili’s. "We’ve raised more than $50 million for the state-of-the-art Chili’s Care Center and now we’re excited to support the St. Jude School Program presented by Chili’s and all that really means is we’re taking care of the body and the mind of the kids at St. Jude." 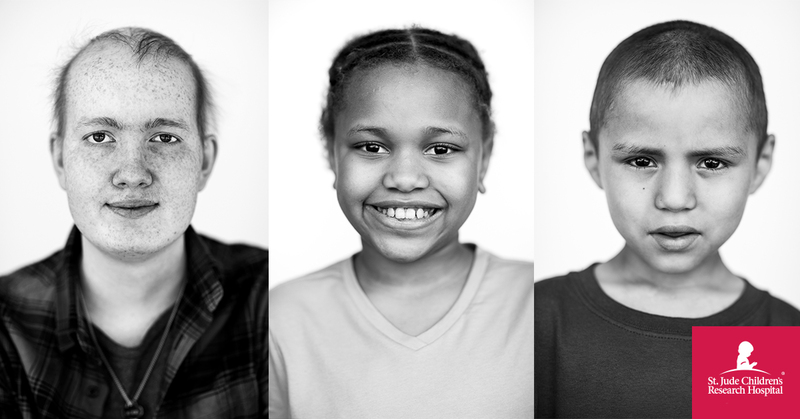 This year marks the brands 15th year to partner with St. Jude to ensure that no family ever receives a bill from St. Jude for treatment, travel, housing or food – because all a family should ever worry about is helping their child live. To donate and support Chili’s Create-A-Pepper campaign for St. Jude, visit www.stjude.com/chilis. *60 percent of the purchase price of each T-shirt and 50 percent of the purchase price of each crazy straw and temporary tattoo sold will be donated to St. Jude. St. Jude Children’s Research Hospital® is leading the way the world understands, treats and defeats childhood cancer and other life-threatening diseases. Our purpose is clear: Finding cures. Saving children®. St. Jude is the only National Cancer Institute-designated Comprehensive Cancer Center devoted solely to children. Treatments invented at St. Jude have helped push the overall childhood cancer survival rate from 20 percent to 80 percent since the hospital opened more than 50 years ago. St. Jude is working to drive the overall survival rate for childhood cancer to 90 percent, and won’t stop until no child dies from cancer. St. Jude freely shares the discoveries it makes, and every child saved at St. Jude means doctors and scientists worldwide can use that knowledge to save thousands more children. Families never receive a bill from St. Jude for treatment, travel, housing or food – because all a family should worry about is helping their child live. Join the St. Jude mission by visiting stjude.org, liking St. Jude on Facebook (facebook.com/stjude) and following us on Twitter (@stjude).